I sat up and took notice the other night when a local news announcer complained that the “Occupy Sacramento” protestors “could not even say what they want.” In other words, they won’t play by the rules – you know, the unwritten rule that says when a TV station sends a van to cover your event, you need to have your sound-byte ready. How else can they work it into a one minute segment and move on? How else can you be neatly pigeonholed? Actually, there is at least one articulate answer to the question of what the protestors want, supplied by Naomi Klein, a Canadian author and activist, at the “Occupy Wall Street” rally in New York. 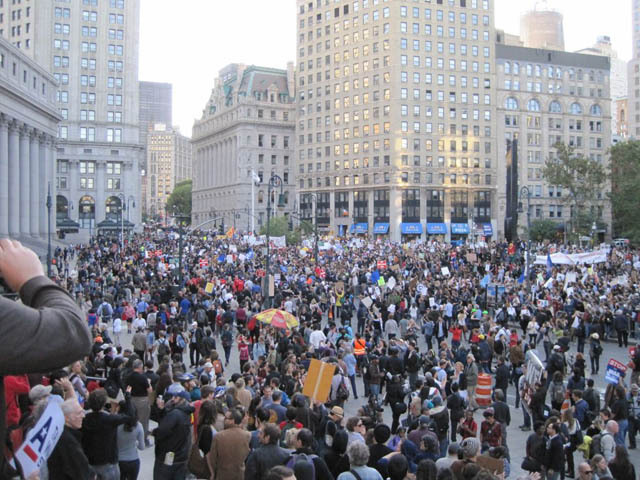 http://www.thenation.com/article/163844/occupy-wall-street-most-important-thing-world-now. This link comes courtesy of Genevieve’s blog, Look Who’s Blogging Now, which you can find on my blogroll. I suggest you check it out if you are interested in this latest eruption of frustration with the status quo, since Genevieve is off to check out the “Occupy Minnesota” protests, and will likely have more to say. Twentieth century politics no longer works. Twentieth century economics no longer works. Twentieth century physics may need to be revised at its core. As I have often discussed here, twentieth century publishing models are spluttering, and I’m sure you can think of other specialty areas where the past no longer functions as a reliable guide to the present. Something similar happened a hundred years ago. In 1905, Freud published The Interpretation of Dreams, and Einstein published his special theory of relativity. Nineteenth century notions of human nature and the world no longer fit. The start of World War I nine years later marked the greatest failure of business-as-usual in the history of the world (up until then). Einstein said, “The mind that creates a problem is not the mind that can solve it.” In other words, we have people who are sick of the status quo, but for the moment, avoid easy answers. Analogies to the Tea Party are obvious enough that even this week’s Saturday Night Live picked up the thread. As I recall, the media was frustrated with the Tea Party in the beginning for the same reasons – no central spokesperson, no succinct Powerpoint agenda. Once they sent people to Washington, the Tea Party got buttonholed pretty fast as a one-issue-movement. “Balance the budget without raising taxes and life will be good again.” Does anyone, even a member of congress, really believe that? The news media, even NPR, refused to acknowledge the occupiers for more than a week, but they didn’t go away. I hope they stay out in the open long enough for people and especially politicians to really get a glimpse of the underlying disappointment, fear, and outrage that animates so many who can no longer be soothed by simplistic answers. What do they want? For now, “None of the above,” is a valid answer! This entry was posted in Blogging, Culture, Current Events, Economics, Politics, Science and tagged blogging, Culture, current events, economics, politics, postaweek2011, Science. Bookmark the permalink. They key is to face the questions at hand, and do what is necessary for change, even if it is difficult. Real change isn’t easy, it is difficult. Just look at what people in the Arab world have sacrificed in the “Arab Spring”, they have fought and died for more freedom, and a better life for themselves and their children. Also, the necessary first step in addressing any problem acknowledging that it exists. There’s a cautionary tale in the Oct. 17 issue of Time, regarding the outcry when Obama dared to say that America had “gotten soft.” The excellent editorial by Fareed Zakaria ends with the note that “desperate optimism” won’t save us this time. I’m seeing some excellent comments on the occupy movements on Facebook that I may pass on here.